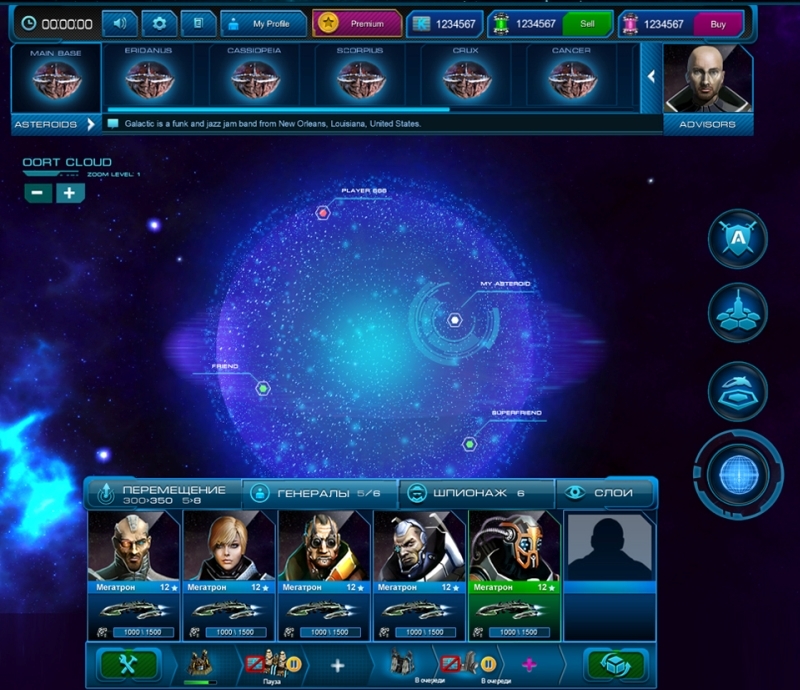 The Oort Cloud is where players asteroids are located. This is where all the spying, robbing, fighting and trading take place. Initially, the player's asteroid is located in the Kuiper Belt, which is a safe zone, where battles and spying are forbidden. Once the player acquires the science of Piloting an Asteroid, they are transferred to the Oort Cloud and get the ability to move their asteroids. To get to the Oort Cloud, the player needs to hit the 4th button in the right panel. 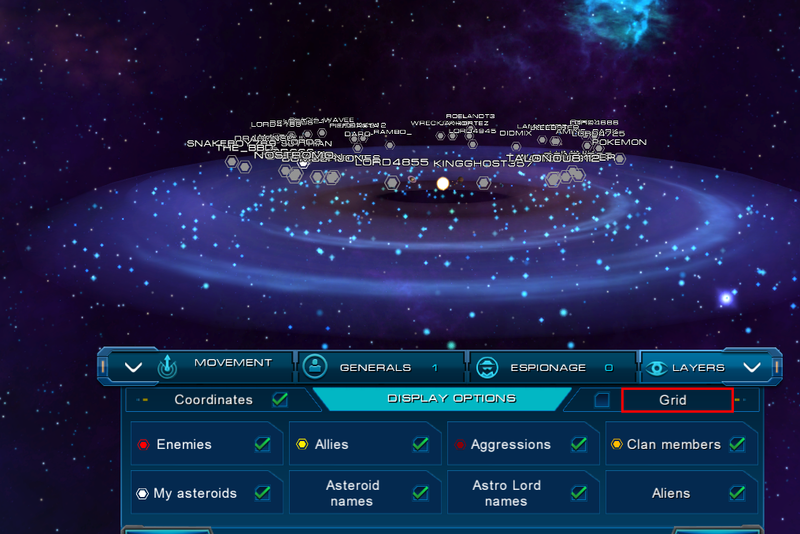 In the Oort Cloud screen, there is a feature known as "Grid" under the Layers tab. This feature shows a scale that contains Oort Cloud coordinates with X longitude and Y latitude; this allows the player to orient in the 3D space of the Cloud. This page was last modified on 25 July 2014, at 19:16. This page has been accessed 12,433 times.